I wanted to experiment with white and monochromatic pieces. There are so many shades of white. I realized there would be an interesting outcome if I were to combine all the types of white I had on hand. 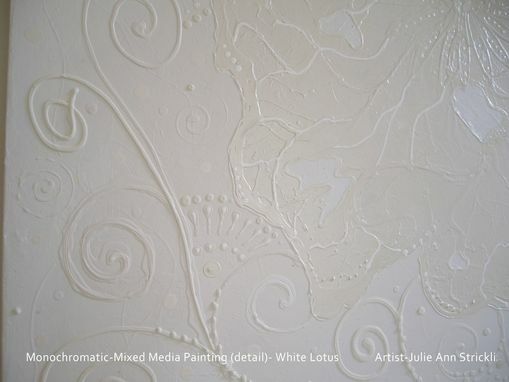 Combining flat, gloss, egg shell, pearlescent, textured whites in a free flow organic style created the most peaceful piece of art. I used mixed media to create the texture and details. 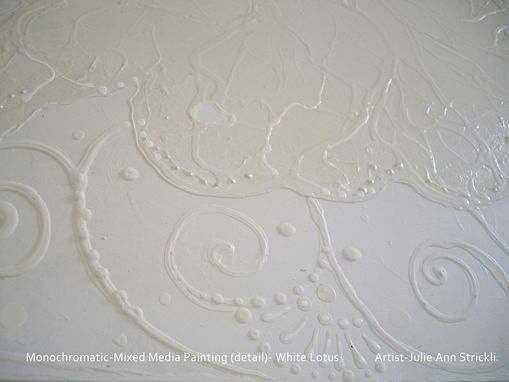 I loved creating this piece and began working on a series. I created a simple version for a guest bath using the paint left over from repainting the bathroom. It is clean, unique and relaxing. 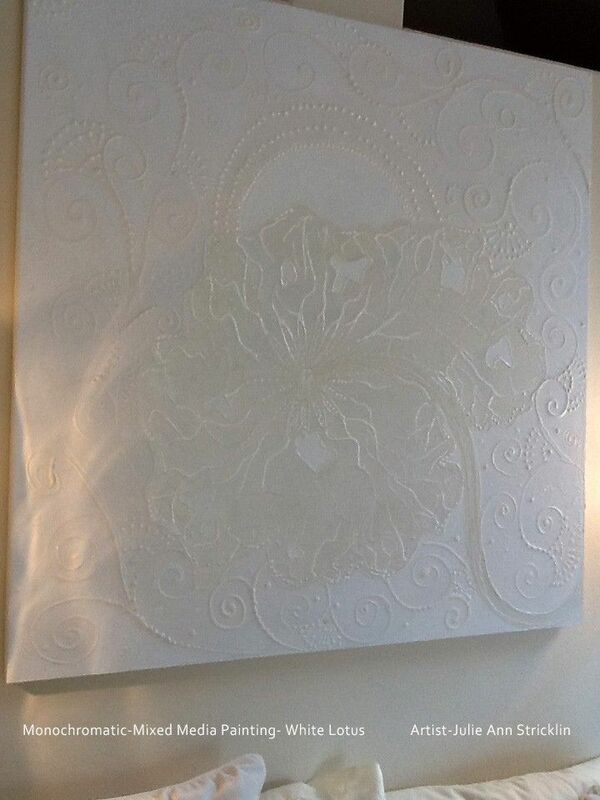 I think it is amazing art for yoga rooms, meditation areas even peaceful bedrooms and bathrooms. It is hard to photo graph, but very interesting as it changes with the time of day and light.